Sommelier Rodrigo Calderón talks making his first Malbec. With a prestigious CV that includes leading front of house at Uruguay’s La Bourgogne and Buenos Aires’ Unik restaurant, Rodrigo Calderón recently compiled an Argentine-exclusive wine list for Mauro Colagreco, chef-patron of France’s Mirazur. Also brand ambassador for Bodega Chacra, the Patagonia-based winery that belongs to Piero Incisa della Rocchetta of the Tuscan Tenuta San Guido dynasty, Rodrigo’s entry into winemaking has kicked off with an Argentine Malbec. Departures: How did the idea of making your own wine emerge? 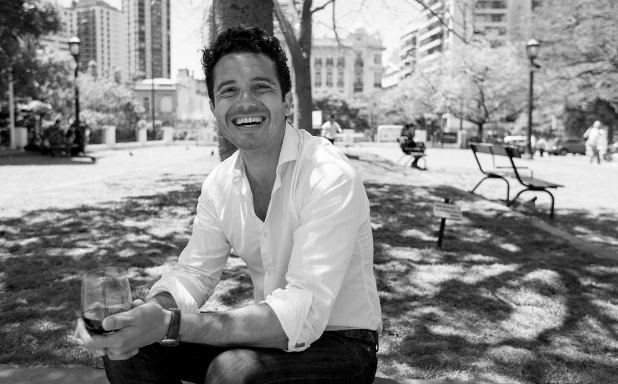 Rodrigo Calderón: Since day one I’ve wanted to make my own wine – it was completely natural in my case. That said, I can’t really say that I ‘make’ it given that I’m not an oenologist or agronomist. I’ve always had a clear idea about the wine I want to produce. I have several in production, wine from Patagonia as well as Salta but I started, logically, with Mendoza and a Malbec. It comes from Viña 1924, a vineyard planted in 1924 that belongs to Bodega De Angéles and has one of the best philosophies when it comes to old vines. This is old pre-phylloxera Malbec that has French rootstock and uses flood irrigation. Argentina is fortunate to be one of the few wine-producing countries that has incredible DNA, given that these plants originated in France 200 years ago.